Becoming A Web Host: Heck Yes It's Possible! Becoming A Web Host: Heck Yes It’s Possible! You’ve heard of shared hosting (the type of hosting that 99% of us have – the “regular” kind). You’ve heard of virtual private servers (VPS) and dedicated servers… probably. But have you heard of reseller hosting? It’s a type of hosting that not only provides you with the ability to host your own website(s), but also with the opportunity to own a profitable, scalable online business venture. The purpose of this article is to explain the advantages of reseller hosting and to help determine whether it’s the right option for you. So… reseller hosting. What is it? At its core it’s rather simple. First you purchase a reseller hosting plan from a hosting company (usually beginner plans are in the $15-45 per month range). You then seek web hosting clients – those in need of hosting – and they sign up for your hosting. Your hosting, however, is actually hosted by the company you’re paying the (approximately) $15-45 to. It’s kind of like owning an online store with your logo on it but selling another company’s product. And it can be very profitable. Think about it: find 10 clients over a month’s span and sell hosting to each of them for $5 per month – a very reasonable price. That means you’re bringing in $50/month on a residual basis and paying, say, $20 for the capability to do so. If you find 100 clients, that’s $500/month, every month! Cha-ching. Don’t expect people to just sign up out of nowhere, though. You need to advertise. You need a website to showcase your hosting. 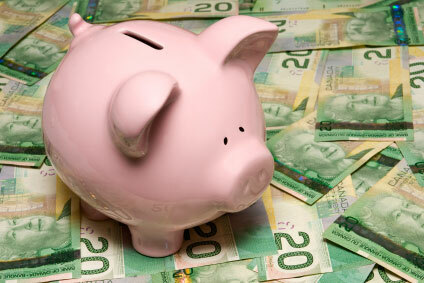 You need to offer great packages, incentives to join (such as bonuses, add-ons, etc. ), and customer support. Notice how I mentioned incentives in the above paragraph? This is more important than anything (well, customer support comes close). Think about it. 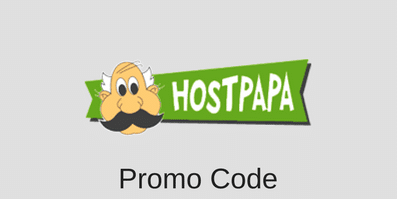 If you sign up for any well-known hosting provider such as HostPapa, GoDaddy, HostGator, and so on, they offer tons of freebies ranging from Google AdWords credit to SEO and security tools to hundreds of website templates. Now, if they can sign up through one of those providers and receive all of that loot, why in the world would they sign up through you? Simple answer: your incentives need to blow theirs out of the water. Plus, as I mentioned, you’re able to kill two birds with one stone. Being that you’re providing hosting, of course you’re able to take advantage of it yourself for your personal hosting needs. So it seems as if I just briefed you on a wide range of information, and you might need to reread everything to soak it all in. Essentially, what you’ve just read sums up reseller hosting and its benefits to you as someone in need of hosting, someone interested in starting an online business venture, or both. On an ending note, just a little piece of advice: don’t pick a reseller hosting plan before going through all of your options. There are many companies out there that offer plans and you want to pick the absolute best one for your needs. Take a couple days compiling a list of the pros and cons for each, narrow down to your top five… top three… and from there, down to one. Remember to do a quick search for any promotional codes as well to perhaps save some cash – who doesn’t love saving moolah! This entry was posted in Articles on December 3, 2012 by Ross Cohen.